I forgot to show you something I did about a month ago. 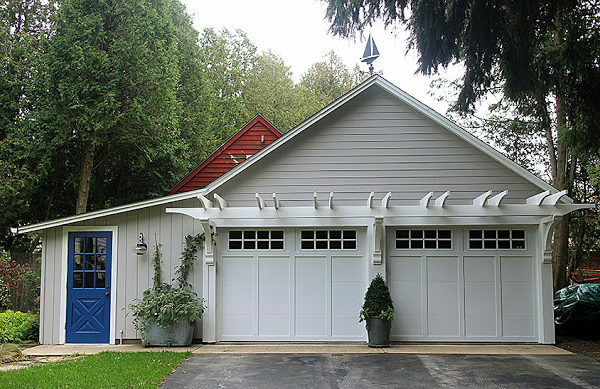 I painted the garage door Wythe Blue (Benjamin Moore color). I’ve been sort of lusting over that color, which is this really interesting grayish greenish blueish, sort of turquoise-but-not color for a long time and I really wanted to paint something that color. 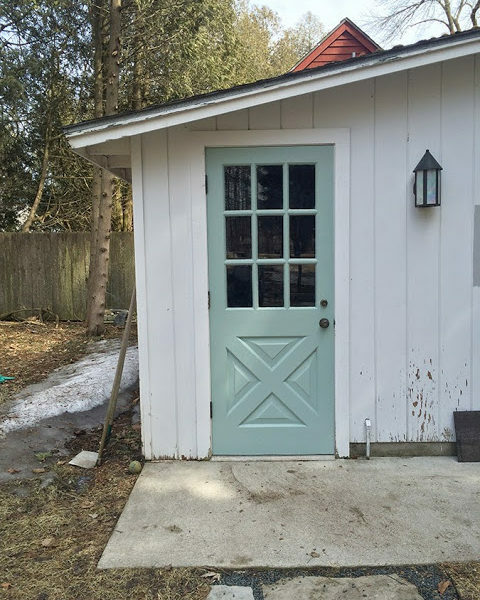 Since I didn’t want something as bold as the blue on our front door (I didn’t remember until went to link that post that I had entertained the idea of painting the front door Wythe Blue), but I did want to have a little fun, it hit just the right sweet spot on the garage. Of course the rest of the garage is still a wreck. We’re waiting for the contractor/neighbor to finish up a couple projects so he can rip the roof off the entire thing and put on a new one that matches the house on. And do you see that dirty snow pile next to the garage? The last vestiges of snow are finally melting but the bottom of the heap is always the grossest. And that red roof peeking out is actually our neighbor’s two-story garage poking up above ours. That’s the neighbor who is doing a roof, so we keep telling him that the sooner he fixes our roof, the sooner the view from the window on that side of their garage improves. We’ll be painting the whole thing as well. We decided to go with gray for the siding and white for the trim (what a shock, right?). 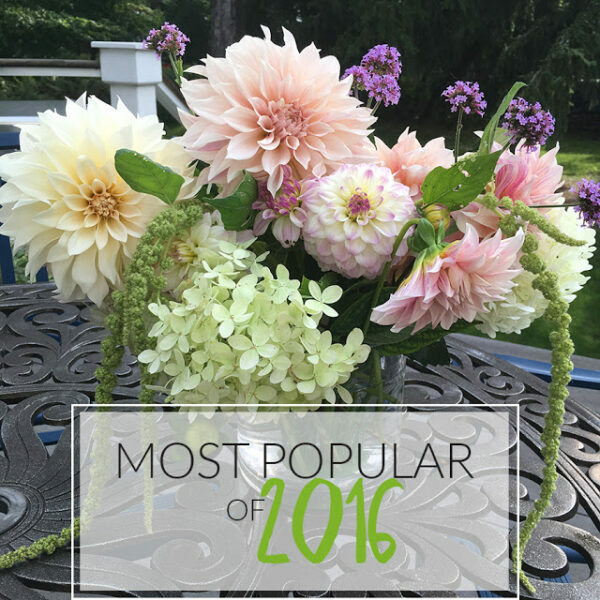 The problem is this silly weather, which just won’t warm up soon enough. All of these projects need a bit of warmth to get going. 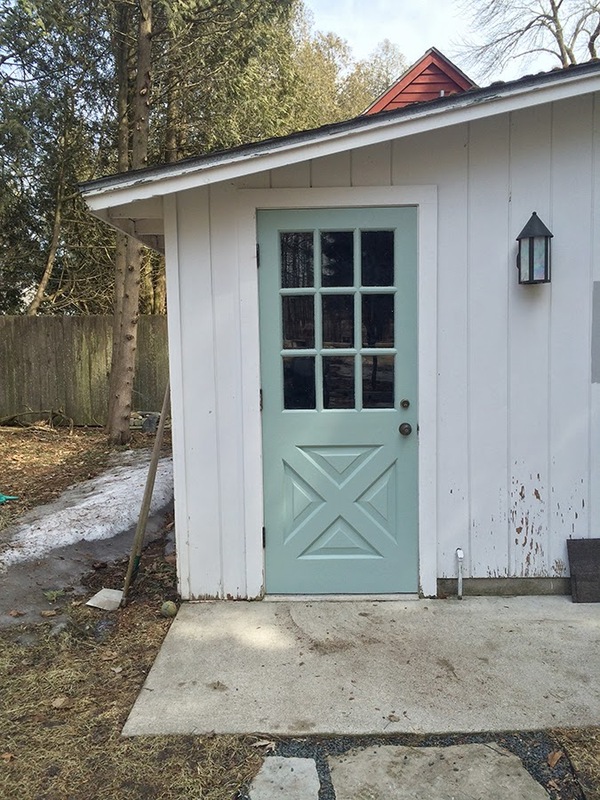 Even on the derelict-looking garage, we love the new door color. So much so that we’re thinking of painting the outside of the new screen door for the back door that color. I mean, if you can’t paint a screen door a fun color, what can you? Its my favourite blue! So much so that my guest bathroom is that colour! !